This week I went camping in Central California. It was a bit chilly, but so refreshing, relaxing, and fun. I went with five of my best friends (minus a few that I missed terribly). Sometimes the most delicious food comes from cooking over a fire pit in the crisp beach air. You also come up with so many hilarious inside jokes on trips like these. I love my friends so much! 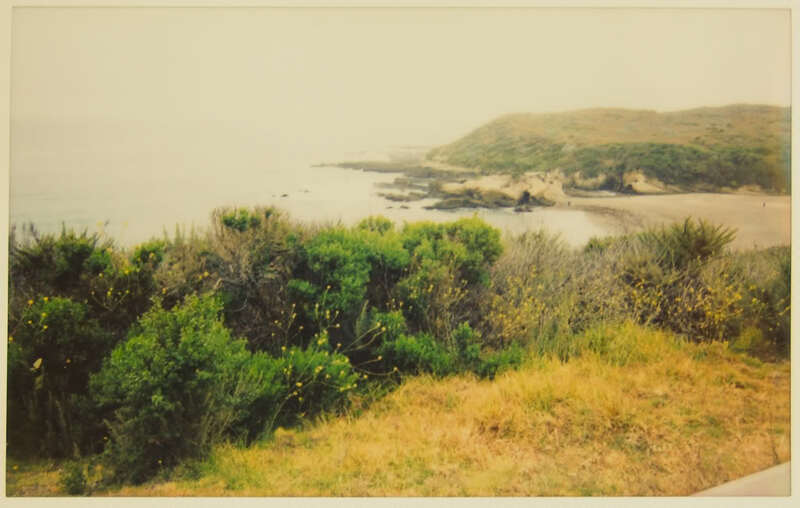 We trekked through Montana de Oro state park. 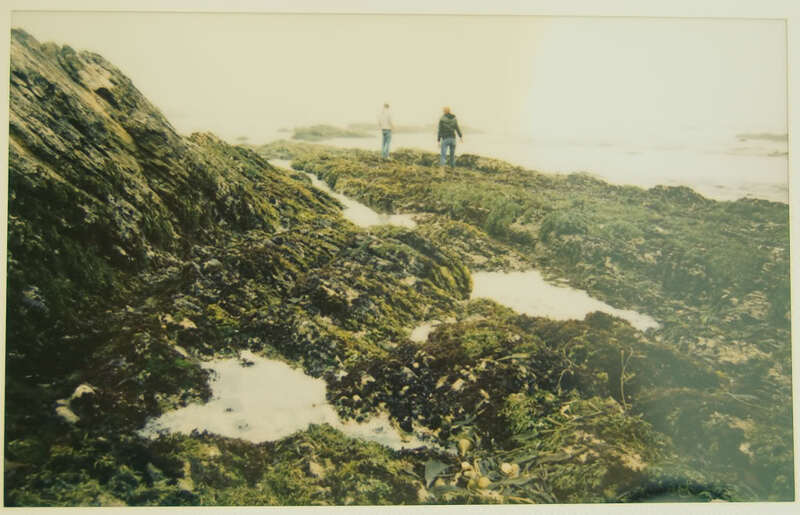 The trail took us along the top of sea cliffs, and then to a beach full of angled rocks to climb and tide pools in which to observe anemones and sea snails. The beach itself was covered in smooth pebbles rather than sand, and my friend Monica and I had fun finding colorful or striped ones, or little shells. It was a beautiful trip. If you’re going to be in the area, I would recommend it. 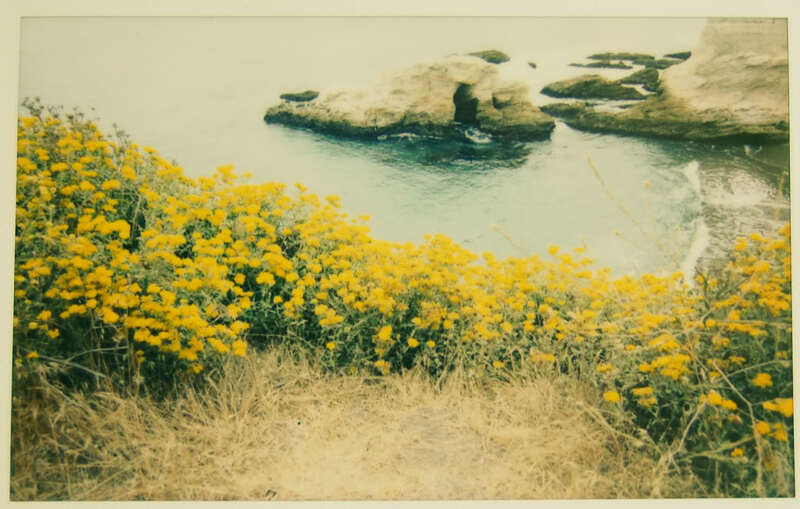 I took all these with my fujifilm instax, then cropped and edited them digitally. The convey the atmosphere of the surroundings so well. 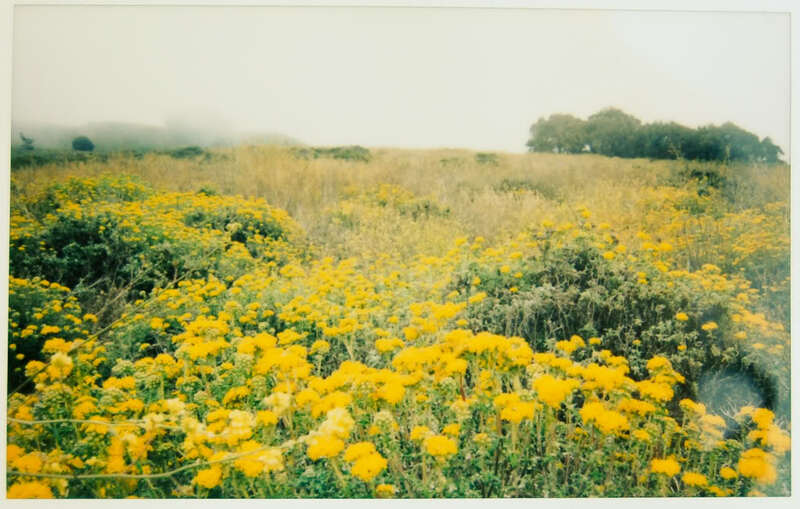 The yellow flowers were blooming, and the hills were covered by a light layer of fog. Even though it’s summertime, I was happy to have such cool weather. It was refreshing.